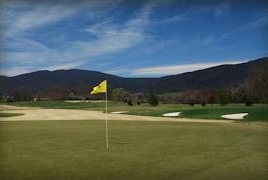 Play Old Trail Golf and enjoy scenic mountain views throughout your round. Located fifteen minutes from downtown Charlottesville, Old Trail’s bent grass greens and Zoysia fairways are consistently well maintained and make for great playing conditions. First and foremost Old Trail is fair and very playable to the average golfer. 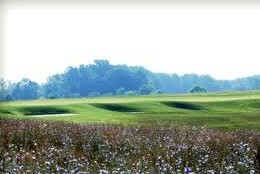 The back tees do stretch beyond 6,900 yards which gives the better players a good test. Make Old Trail a part of your next Charlottesville Golf Vacations with nearby courses Spring Creek, Birdwood and Wintergreen Resort. Contact us now! 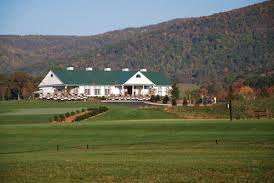 If you are interested in packages for your Charlottesville Golf Vacations, find out more here. Now you can create your own custom Charlottesville Golf Vacation Package through Virginia Golf Vacations! Choose from the Charlottesville areas best golf courses and popular accommodation options among our Blue Ridge Golf listings. Take 60 seconds to fill out a quote form and one of our golf trip coordinators will get right back to you with a trip quote.